the Art of sculpture has come to us from the depths of millennia. Classical Greek art Europe learned in the Renaissance period of Roman copies. But the movement is inexorably forward. XVII century demanded other forms of expression. So there was a “bizarre” and “strange” Baroque. Sculpture, painting, architecture, literature – all responded to the call of time. Appearance of the word “Baroque” raises a lot of controversy. Proposed Portuguese version – “pearl”, a form of which is wrong. Opponents of this direction was called “ridiculous”, “artsy", as in this style fancy blended combination of classic forms, as well as emotionality, enhanced lighting effects. the Splendor and greatness, illusion and reality, deliberate agitation and something unnatural-it's all Baroque. Sculpture – an integral part of it, which shows the human image in the conflict, with increased emotional and psychological expressiveness of the character. The figures given in the quick and sharp movements, their faces distorted by the grimaces of pain, sorrow, joy. 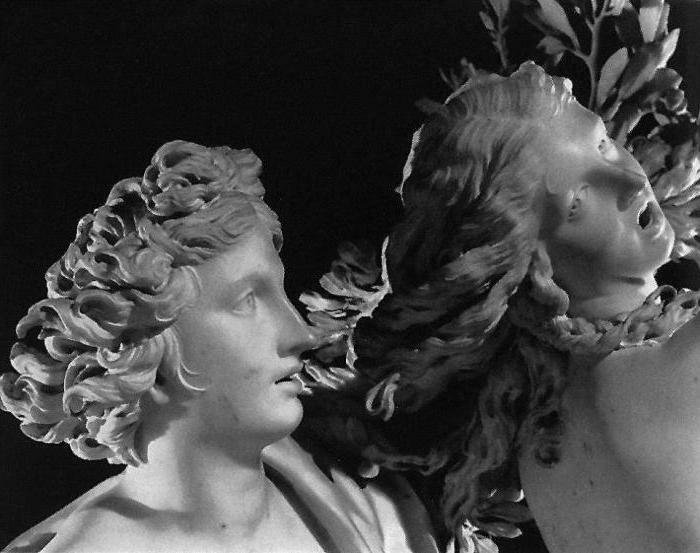 the Dynamics and tensions created in his works Lorenzo Bernini. With the help of a dead stone, he portrayed the dramatic narrative, particularly adept at using light. Artistic superiority in comparison with his contemporaries L. Bernini of our time is indisputable. Sculpture in the Baroque style was raised by the genius on extraordinary height. 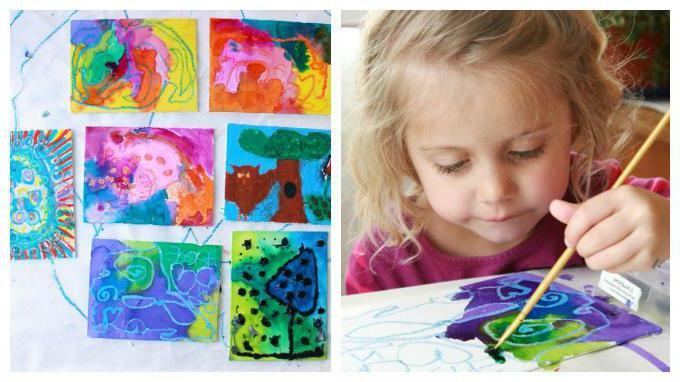 She aspired to be like painting with skillful transitions of light and shadow. Works can be viewed from all sides, and every time they are perfect. This is because the material is totally subordinate to the artistic idea. The work of the Baroque sculptor, sculpture in particular, comes in contact with the environment, with air space around it. It opens Baroque in nature, in gardens and parks, a new milestone in the history of secular sculpture. 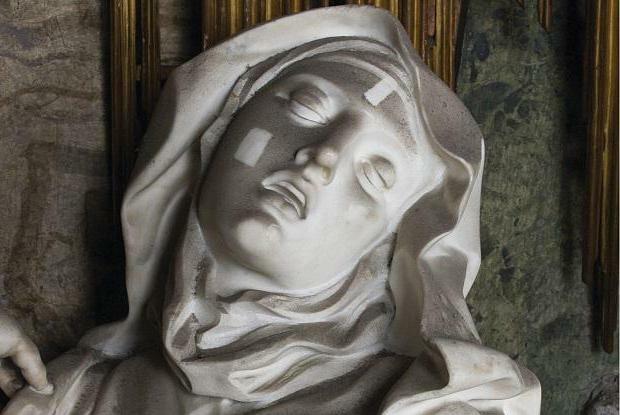 Only Michelangelo was able to take a block of marble and cut away everything else, creating a masterpiece. Most importantly – the birth of an image in the mind of the sculptor, with what parallel is connected to, and how thought out every detail in advance as the sculptor sees the future result, and how he seeks to get closer to the imagined ideal. So for centuries worked as creative people. 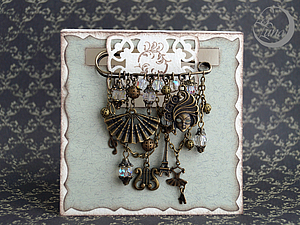 Is no exception the Baroque style. The sculpture was created along the same lines. 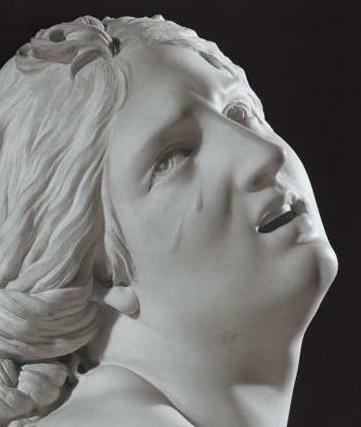 Lorenzo Bernini as he spoke, the marble was subdued, like wax. Sculptural composition “the Kidnapping of Persephone,’ ordered the young talented sculptor L. Bernini (1621-1622), was cardinal Scipione Borghese. The artist was only 23 years old. He decided as clearly as possible to Express all the feelings that have arisen in the time of the capture of the young Proserpina by Pluto. Happily passed the adolescence of the daughter of Demeter, who frolicked and danced with friends in the meadows and forests. She and her mother did not know that the mighty Zeus has decided to make her the wife of the ruler of the underworld Pluto. Somehow during the walk she liked the flower. Persephone broke it. At this moment from under the earth appeared on the Golden chariot, the grim ruler of the Kingdom of shadows and the dead Pluto. Only Helios from heaven saw grabbed and taken underground to the beauty of the powerful God. Proserpine only had time to scream. Dynamic composition “the Abduction of Proserpina” is well balanced and symmetrical. the Powerful body of Pluto with a strained biceps and carefully carved calf muscles, bulging veins and ligaments is very stable thanks to the widely spaced legs and forward of the knee. The figure of Proserpina squirms in his hands. With one hand she pushes away the head of Pluto, and the other in a plea for help threw up. Your hips and whole body of young girl is repelled by the terrible God. In her tears. [br] It is all – a gust up at will. A gentle girl's body tightly and gently hold the delicate hands of God. Their bodies form a stable X-shaped arrangement. The first diagonal runs from the set aside the legs of Pluto up to the tilted head. Second – via the right foot of Proserpine, the body and the mind of God. The bodies of the characters and Cerberus in particular, which aims to balance the composition look extremely realistic. When viewed from different angles and in different lighting, you get either a sinister effects, or warm on their faces. Also interesting is the contrast of smooth, with soft rounded bodies with shaggy fur of Cerberus. That's so exciting can be an art. The sculpture creates the impression that they are made of different material. But it's not. In addition, one should add that the hair on the head of God as though tossed in the wind, and they look extremely natural. Work “the Abduction of Proserpina” should be avoided in a circle, then reveal that with a minimum number of parts, the master creates masterpiece with a helpless girl, and unwavering in his quest Pluto. Admiring the perfection of the work of the sculptor, to cardinal Borghese in 1622 ordered him the following composition. It was also based on the Greek myth. It was a sign of enlightened Italians on “Metamorphosis” of Ovid. The bottom line is that Apollo, struck by Cupid's arrow after seeing a beautiful nymph, chased after her. Now he has caught up with her, but she began to pray to the father, the river God, for help, and in the eyes of the shock of Apollo, turned into Laurel tree. 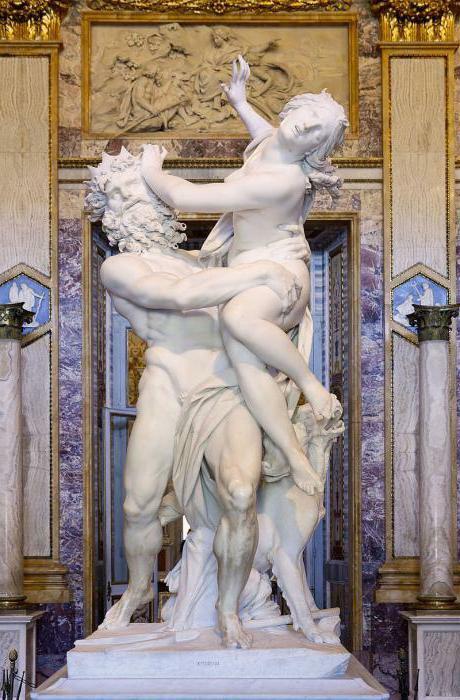 Sculpture “Apollo and Daphne" Bernini depicts the exact moment when the feet of the nymphs turn into roots, and fingers – branches with foliage. Nothing left but a shining charm. Phoebus has not lost her love. He kissed the bark, hiding the body of nymphs, and on his head wore a wreath of Laurel branches. 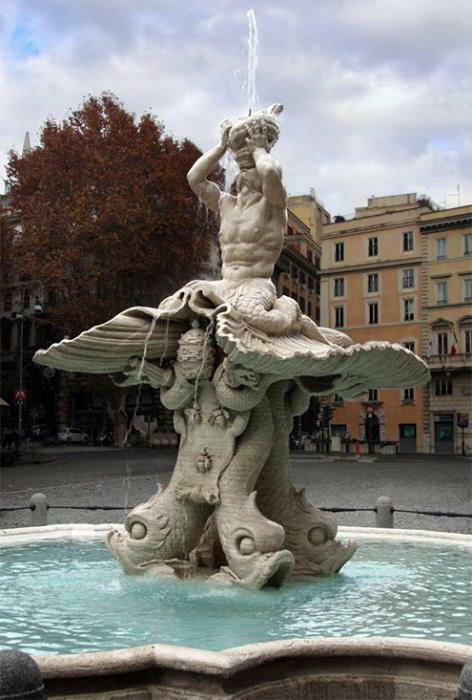 The genius of Bernini transformed poetry into reality. He showed the dynamism of action and change. Especially Daphne. Her outfit, dropping off the shoulder, turns into bark, hands – in the branches. Expression nymphs – it is a tragedy. God of endless hope looks at her and does not believe it will change. This sculpture illustrates the wasted love. She suggests that the pursuit of earthly pleasures can lead to frustration and, furthermore, to harm another person. Both compositions are now on display in the Borghese gallery in Rome.